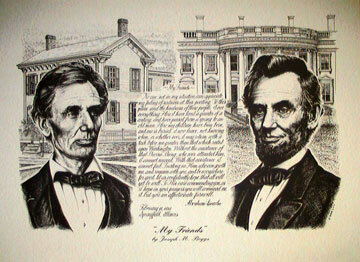 "The Aging of a President"
Ostendorf sketches a young Lincoln and then transforms him into an aged Lincoln. 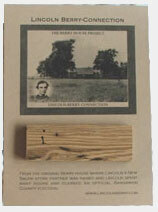 Profits will be donated to New Salem's Lincoln League and other local organizations. All wood frames are unique. 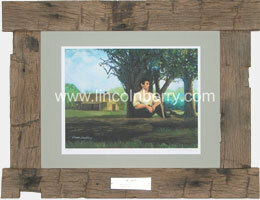 Picture matting is a light shade of green. 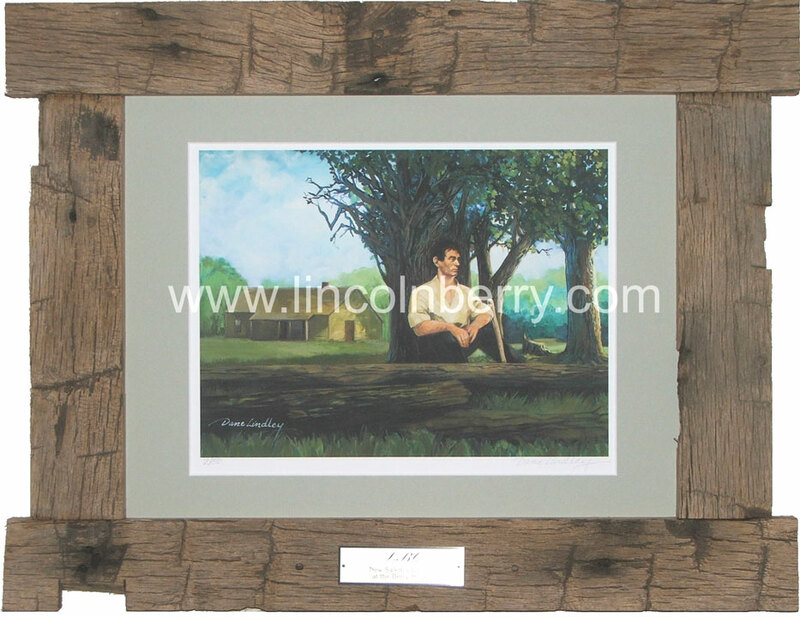 This colorful Lincoln print would make a great addition to any home or office. 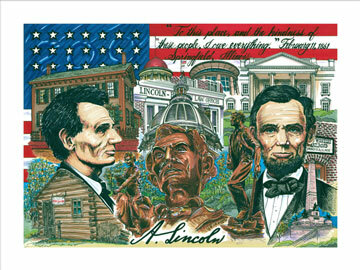 This 200th Anniversary print features some Springfield architecture including the old and current State Capitol Buildings, the Presidential Library and the Great Western Railroad Depot where Mr. Lincoln gave his speech before departing for Washington. 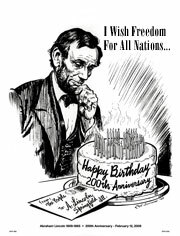 From the Berry-Lincoln Store to Lincoln's Tomb, it also includes statues from Springfield and New Salem.